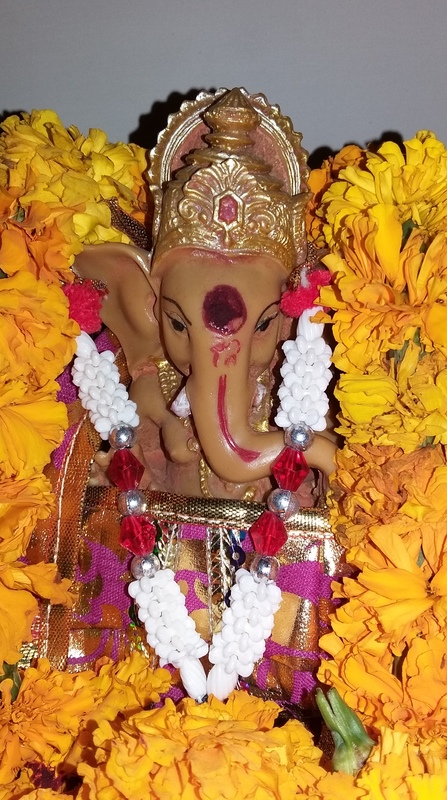 The day was for celebration and offering prayers with devotion to Lord Ganesha which we had at our home like every year. 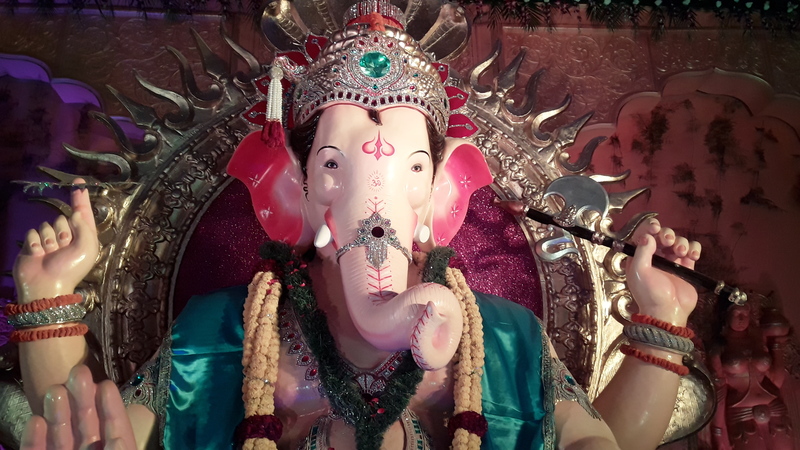 Chanting hyms of prayers and bowing down to the eternal “MANGAL MURTHY” for the goodness of our souls, fostering growth, prosperity and learning …we seeked HIS divine blessings by offering our PUJAS…with flowers, ladoos, incense sticks and lots of fan fare. 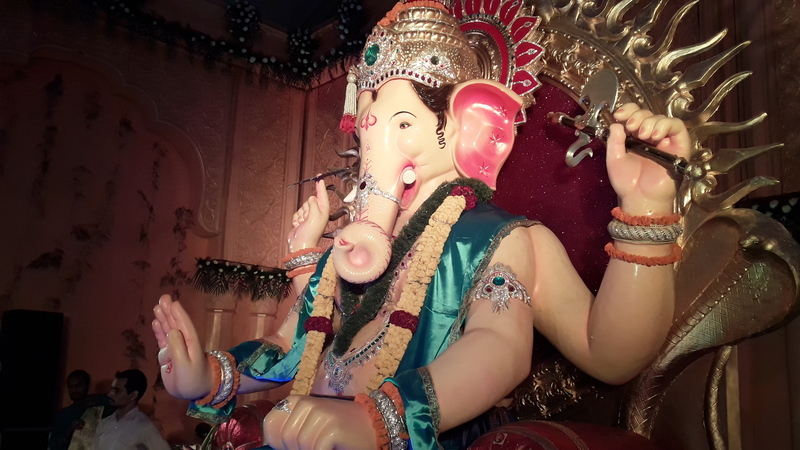 Ganapathi Festival is celebrated in grand magnitude in the state of Maharashtra particularly at Mumbai and Pune – which infact takes the shape of a National Carnival like what the Bengalis celebrate during the Durga Pujas. 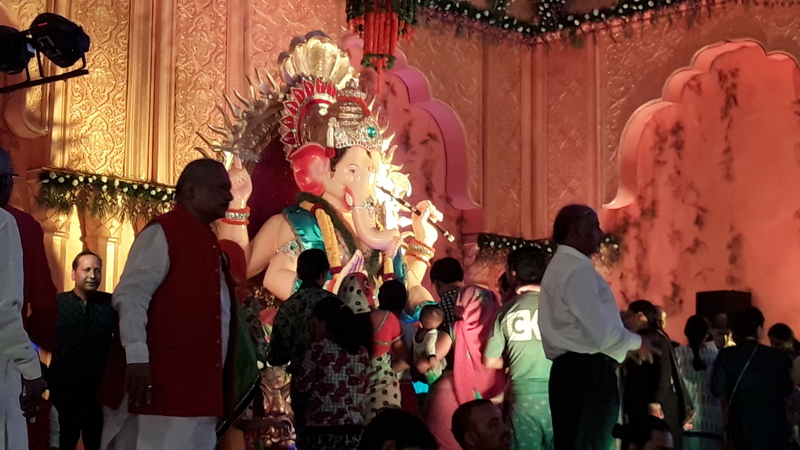 The state of Karnataka and its capital Bengaluru also celebrates this festival with pomp and grandeur as the Gauri-Ganesha and the Ganapathi Habba. But how many of us are aware that the National Capital Delhi too celebrates this festival with lots of fan fare and excitement? 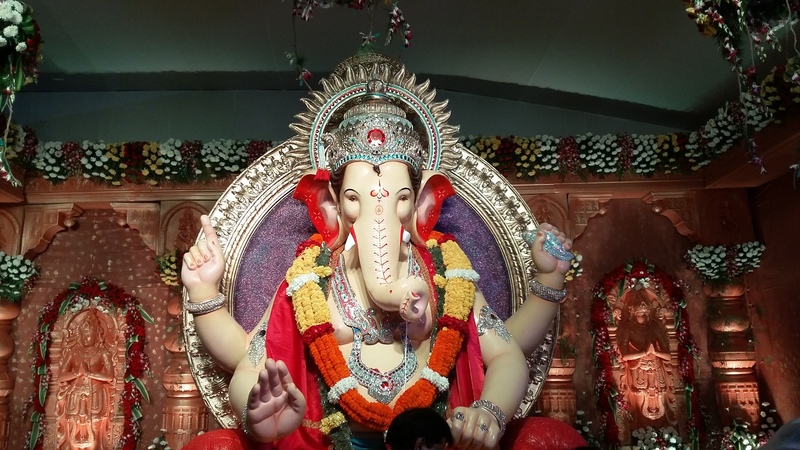 Thanks to the Lal Bagh Ka Raja Trust – Mumbai is brought alive in the heart of Delhi. 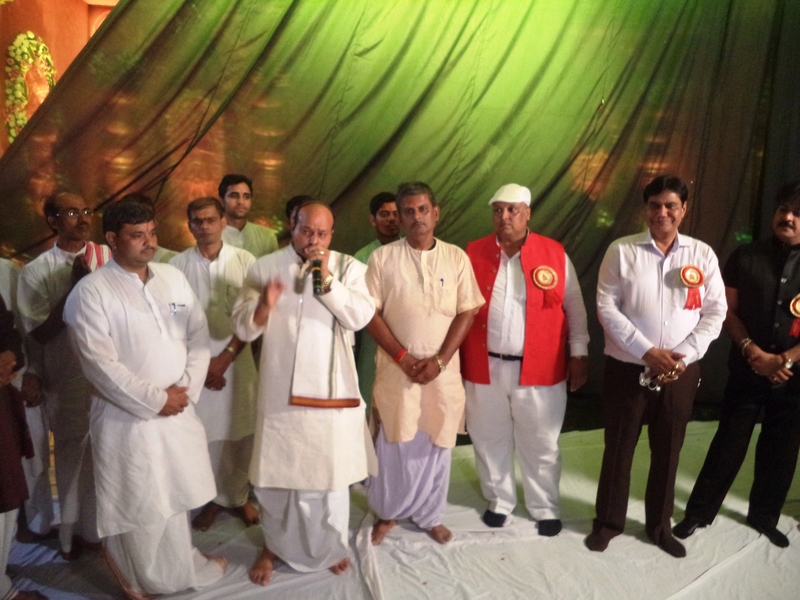 The trust is pioneered by Sri Jagmohan Ji one of the leading businessman of Delhi. 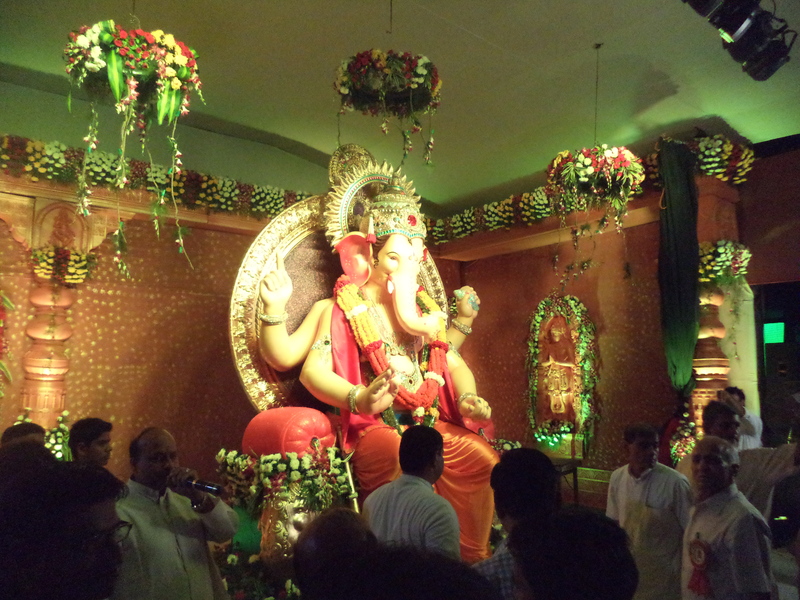 Although the Puja used to be celebrated at the Netaji Subhas Place Grounds. 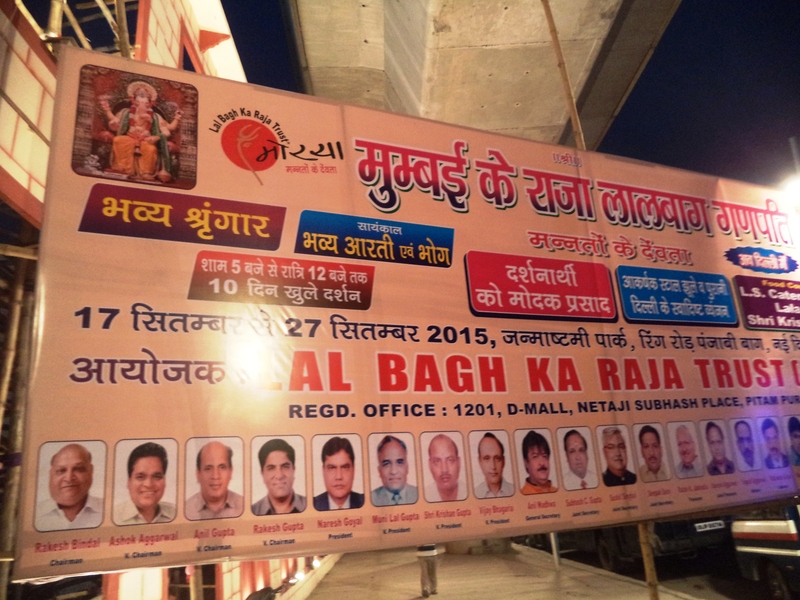 This year the Puja was shifted to the Janmastami Park, Punjabi Bagh, New Delhi. 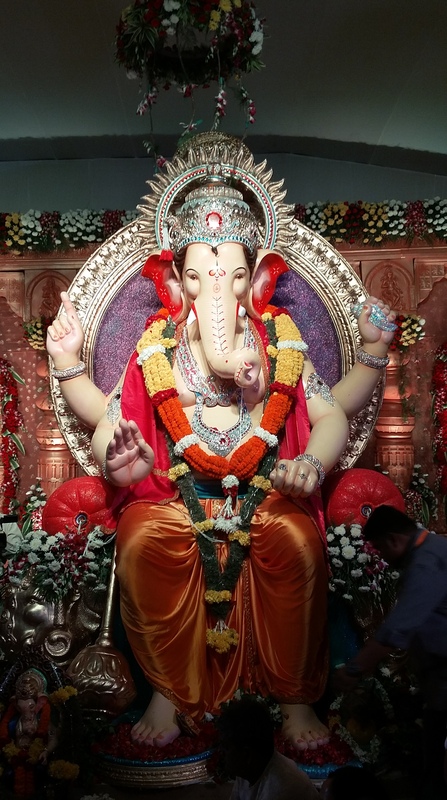 We had planned the Lal Bagh Ka Raja Trust Ganapathi Darshan long back. The evening was the ideal time. Yet after getting down at Netaji Subhas Place Metro station from Rithala it was a total disappointment for us to find the Puja ground being now cordoned by Delhi Metro. 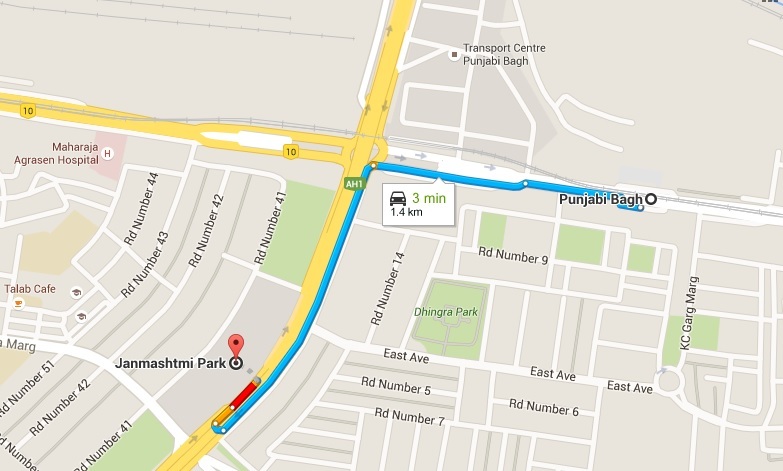 Understanding the situation one young Delhi Police officer who was patrolling the fly over entrance to the ring road came to our assistance and most politely suggested us to take a cab or an auto to the Janmastami Park, Punjabi Bagh, New Delhi, where the Puja was shifted. 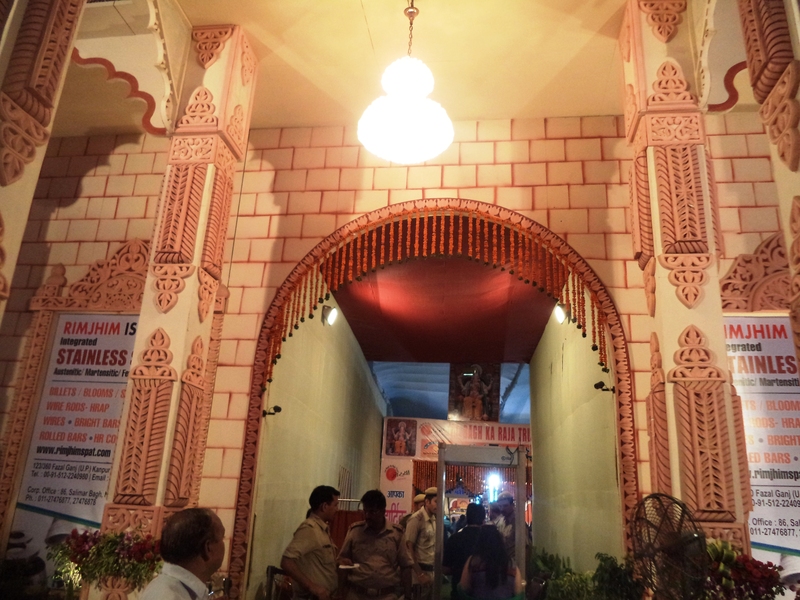 The inside of the Mandap was a scene of amazing feat. 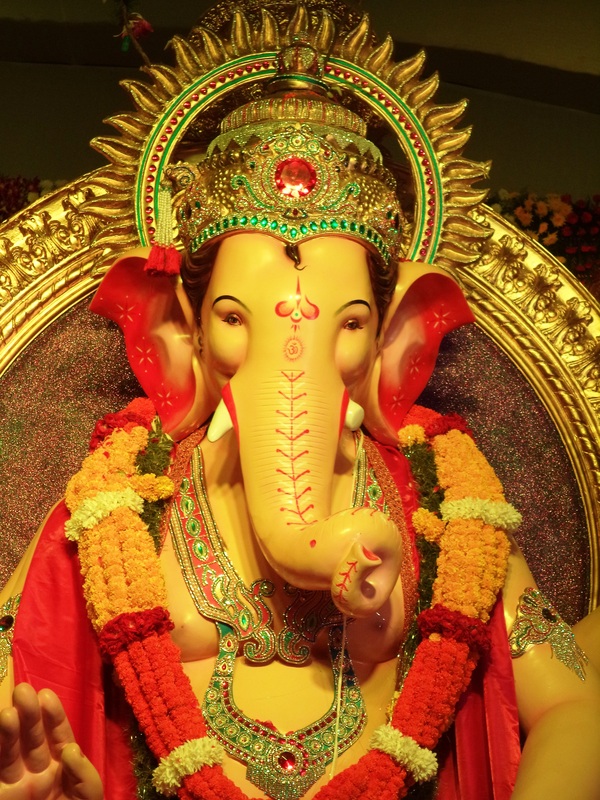 The Idol of Lord Ganesha was housed on a huge plinth. It was covered by a large green curtain awaiting the inaugural ceremony. The Puja Mandap was immediately surrounded by a large auditorium like arrangement having seating arrangements for the devotees, VIPs and guests. 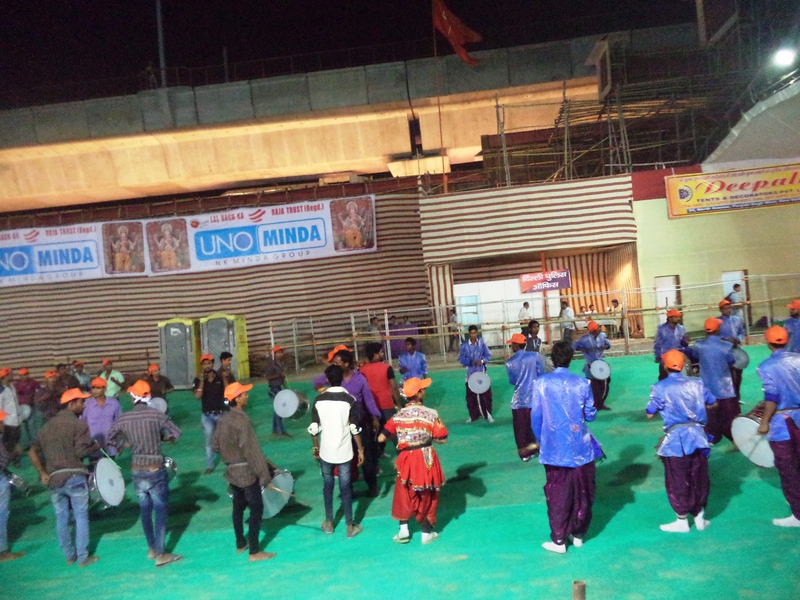 There was another large stage erected exactly beside the huge plinth for hosting a variety of cultural programs, bhajans and prayers. The inauguration ceremony of the Puja, was scheduled at 5.30PM. It got delayed to almost 7pm in the evening. Inspite of that it was a mammoth-like celebration. 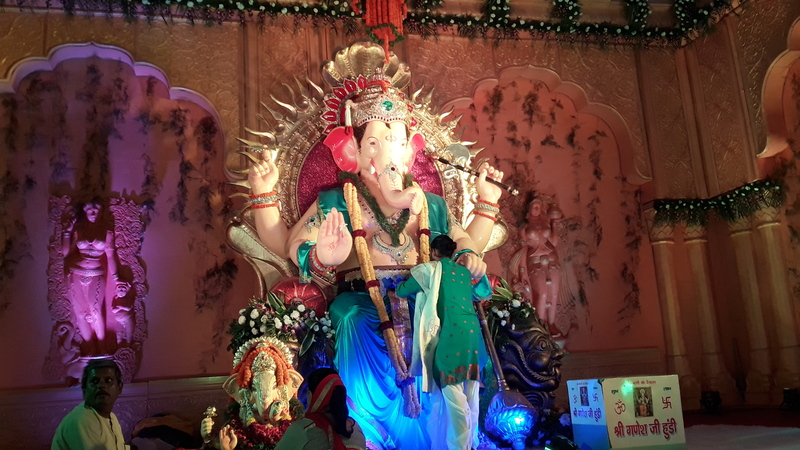 The Idol of Lord Ganesha was unveiled by the VIPs and the organizers with roll of drums and conch…The crowd gathered below the centre stage burst into joyous chants..hailing the greatness of Lord Ganesha and the Puja began with full devotion and fan fare. The first Darshan of the Lord was a visual treat for all the devotees including us. We were awestruck by the sheer beauty and grandeur of the Lord’s Idol. The Puja started with prayers and readings from vedic slokas. 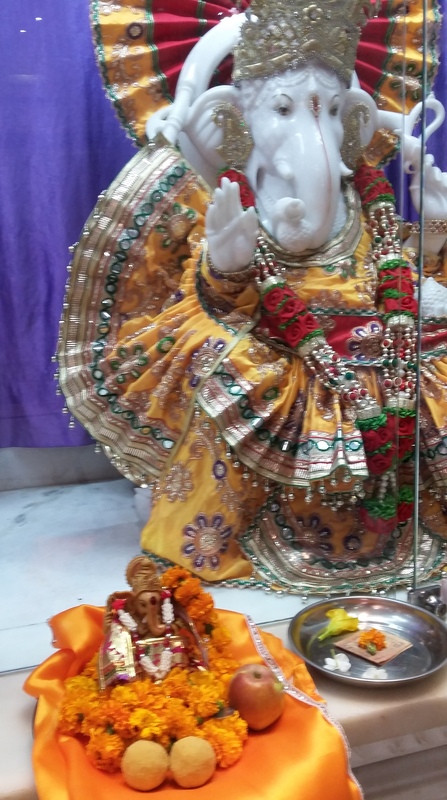 Hundreds of devotees along with the organizers offered their Pujas, seeking the blessings of His Almighty. The uniqueness of the celebration was that today, in the Lord’s mandap there was no demarcation between the rich and the poor. Pure devotion had broken all the boundaries of worldly differences in wealth, caste and creed and the religions of people…There were Hindus, there were Sikhs, there were Jains, there were Muslims….all had gathered by sheer devotion and love for the Lord…. 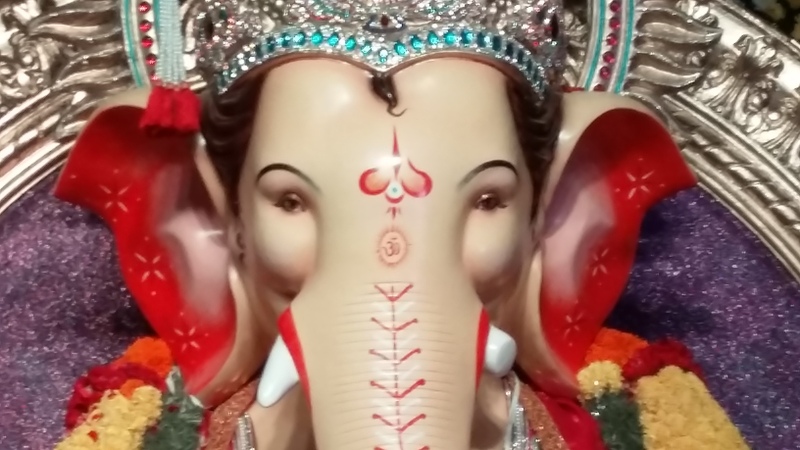 We felt perhaps this was the greatness of Lord Ganesha…to imbibe the culture of togetherness, brotherhood, faith and love among the people of India. He had inspired many sages, patriots and millions of souls since ages and would continue to inspire us to become a formidable unified nation for ages to come in the near future….. 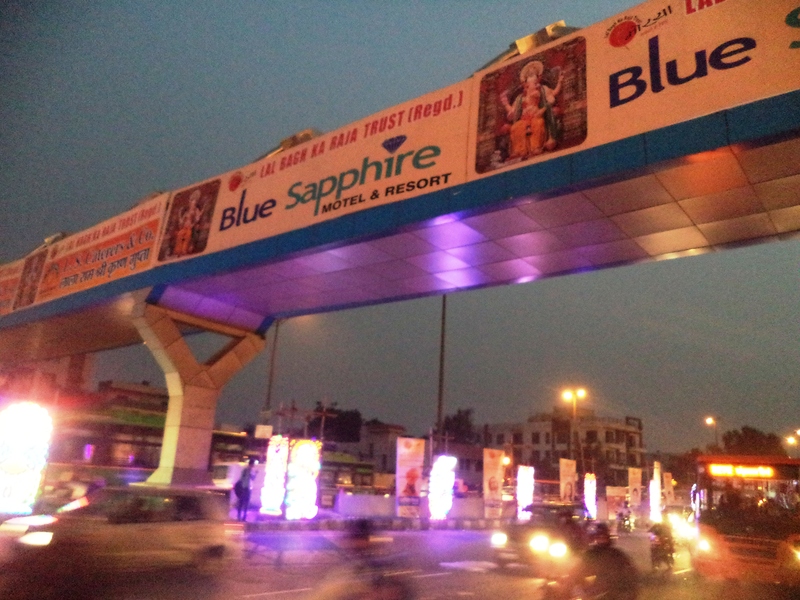 This year the organisers had decided to shift the Puja from Punjabi Bagh Janmashtami Grounds back to Netaji Subhash Place Grounds Pitanpura. 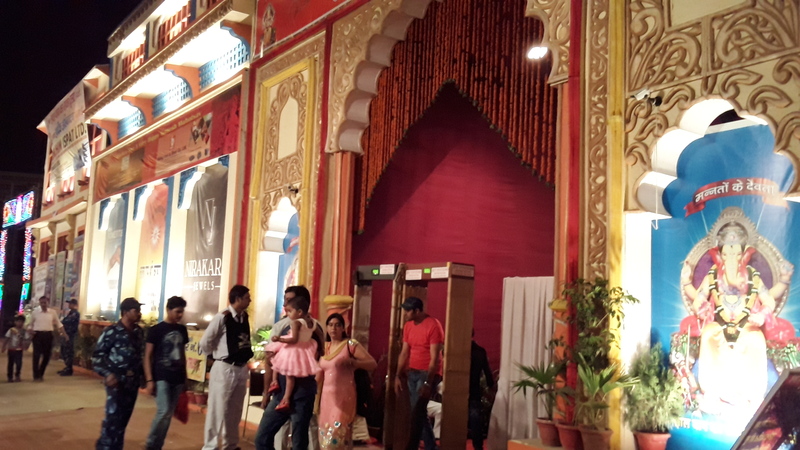 The aura of the festival was as grand as what we had seen during the previous year. 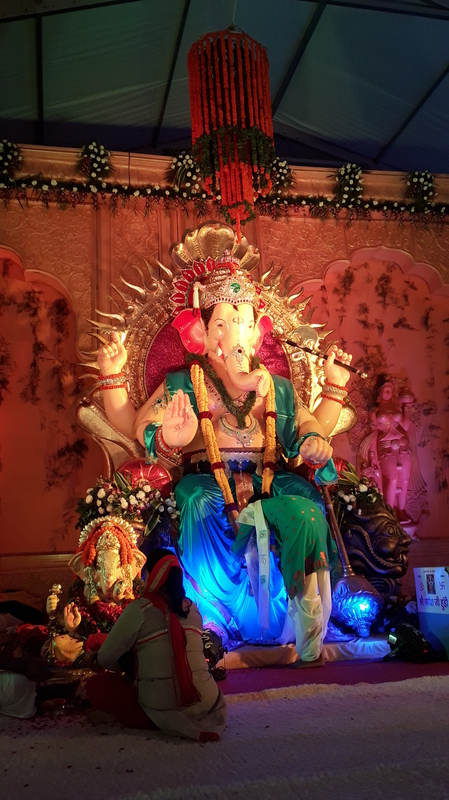 Presenting our readers some of the wonderful shots we had captured on this year’s Ganapathi Puja.